Based in the Bay of Plenty, we are New Zealand’s leading contract bottling facility for premium quality artesian mineral water. 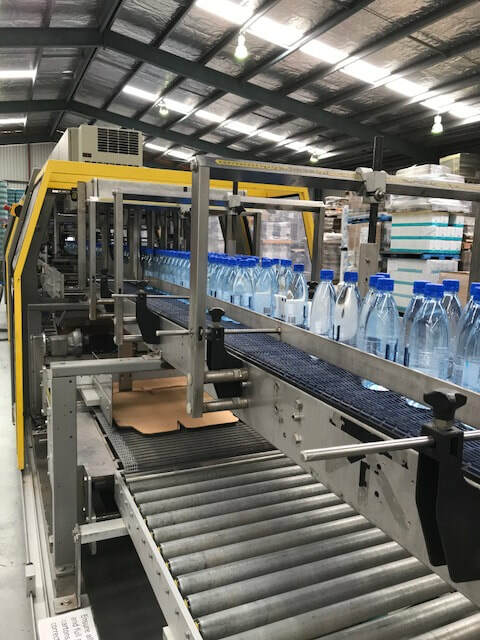 We can contract bottle still and carbonated water for your brand, in a range of packaging formats including PET, glass, and bag-in-box; for the local New Zealand market and for export. The water originates in Antarctica where gale force winds convert the ice crystals into water vapour which is carried by jet-stream winds to New Zealand – Aotearoa, “the land of the long white cloud”. These water laden clouds release this water as rain onto the Bay of Plenty region where it takes 50 years to slowly seep through layers of ancient volcanic rock. This natural filtration process purifies every precious drop of water and the rock infuses the water with the perfect amount of minerals which then collects 1000 feet below ground in an 1800 year-old artesian aquifer. This water, which is as pure as nature can make it, then rises under its own natural energy force as a spring to the surface of the earth, where its purity is captured and sealed in a bottle without ever being exposed to air or sunlight. 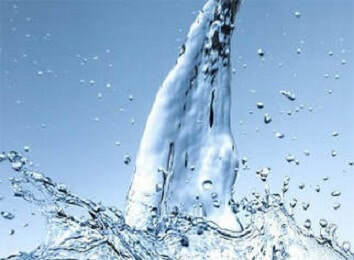 ​The quality of mineral water is determined by its mineral composition which is independently measured and verified. The hardness of water is measured by the calcium and magnesium content. The hardness of our water is 13 mg/l which makes it one of the softest waters in the world, 20 times softer than the leading French bottled water brand. The nitrate level of water provides an indication of potential contamination. With a very low nitrate level of 0.061 mg/l, the purity of our water is considered to be superior by international standards. The level of Total Dissolved Solids (TDS) in mineral water is a measure of the mineral content of the water. 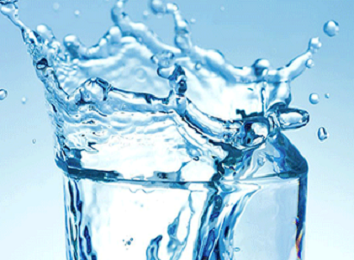 Low levels of the right minerals enhance the well being benefits of the water. Our water has a TDS level of 140 mg/litre, which is classified as low; mineral waters with high minerality have a TDS exceeding 1500 mg/litre and are deemed to be lower quality. All bottled water is not created equal and what makes our water special is it’s taste. The combination of the high silica content, low minerality, and softness of the water sourced from this ancient aquifer, means that it is light on the palate and easy to consume. Discerning consumers not only taste, but can also feel the superior quality of the water from this multi-award winning aquifer; whether they are enjoying it as an accompaniment to fine food and wine, brewing their favourite tea or coffee, adding a splash to release the volatiles from a prized whiskey, making up infant formula for their precious new baby, or simply wanting to increase their daily water intake to get the benefits of better hydration - this water is perfectly pure, as nature intended it should be. Oravida Waters has a state-of-the-art food-grade bottling facility which is operated based on international standards. 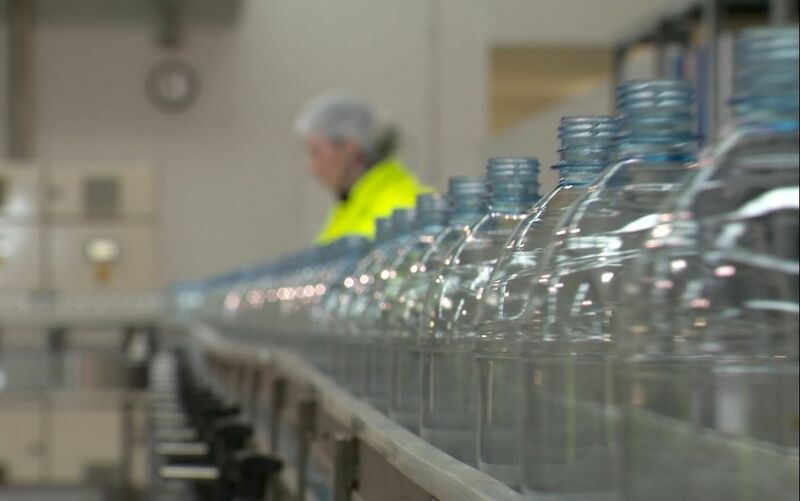 We have a renewable water consent for 400,000 litres per day - providing an abundant source of premium quality artesian mineral water for our contract bottling customers. We have a HACCP based Food Safety Programme, which is independently audited by Quality Auditing Specialists Ltd. This verification provides our customers with assurance of the quality and safety of our bottled water. Our artesian water rises under its own natural energy force (no pumping is required) from the 1000 feet deep aquifer, and is then micro-filtered, ozonated, and UV sterilized to ensure its purity before bottling. The Filling Room is a positive pressure critical control area with entry, via a hygiene red line, restricted to authorised personnel. 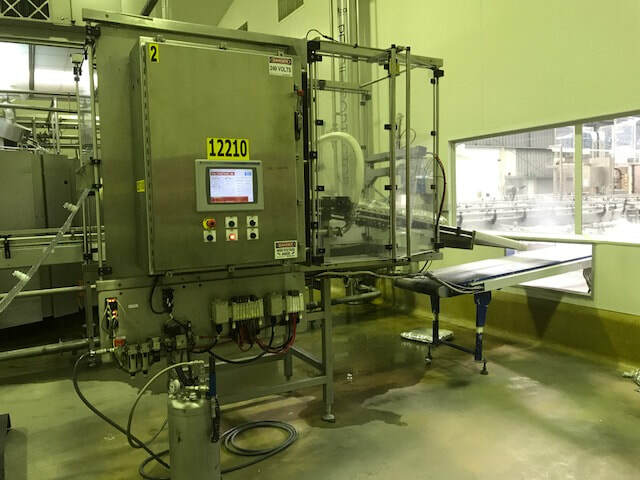 Empty glass or PET bottles enter the positive pressure filling area where there is a 50 head AVE bottle inverter, rinser, filler, and capper with a maximum filling rate of 16,800 x 500ml PET bottles per hour. The filling room also houses a Scholle semi-automatic bag-in-box filler which is able to pack 5 litre, 10 litre and 15 litre packs. Water can be carbonated within the range 2.6 – 2.8 gV. ​During the entire bottling process the water is protected from exposure to oxygen, sunlight or the environment – capturing the purity and goodness in the bottle until the lid is open by a customer. The bottle label is an important component of the product offering as it presents your brand identify and the important information required to meet regulatory requirements and to inform consumers about the product. Each bottle design has a label application panel and there are recommended maximum label sizes for each type of bottle. We can assist you with selection of the best type of label and best label supplier to meet your requirements. ​As part of the contract bottling procedures, we are required to check that all labels meet New Zealand regulatory requirements and we will require you to confirm that you have met any labelling requirements for the countries you intend to export to. ​​​Bottles are then automatically packed into cardboard cases, or shippers, which are date coded and palletized for dispatch. Oravida Waters is a Ministry of Primary Industries (MPI) licensed transitional facility and has extensive experience in packing and exporting containers to Australia, Pacific Islands, Singapore, Hong Kong, Korea, Japan, China, and the Middle East. The micro analysis results for your production batch. Oravida Waters contract bottling service allows you to cost effectively create new market opportunities for your brand from this world class water source. We work hard to make it easy for you to do business with us, and we support your success with our extensive experience in contract bottling and exporting. 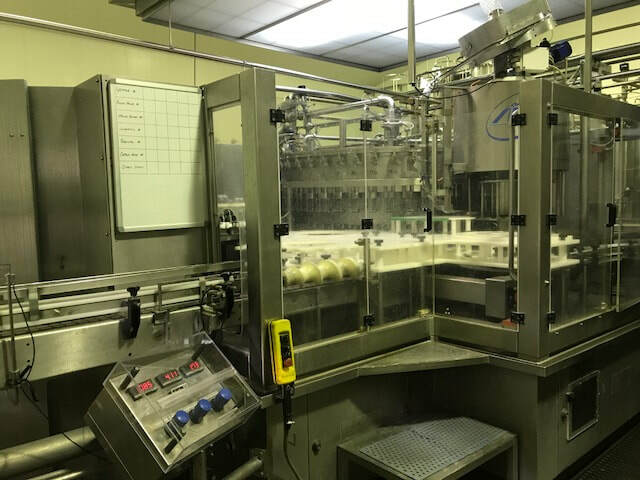 ​Most of the information you need to know about contract bottling is covered in the Frequently Asked Questions, or our Steps to Ordering document which you can download below –or you can simply get in touch by phone or e-mail and we will talk you through the process. 1. Where is the water sourced from? ​The water is sourced from the Otakiri Aquifer, an ancient artesian mineral water storage aquifer which is located 1000 ft underground. The water rises to the surface under its own natural energy via a bore which is located on-site at the water bottling facility. 2. What bottles do you supply? We are able to supply standard PET bottles in 350ml, 500ml and 1.5 l sizes, as well as flint glass (clear) bottles in 300ml and 750ml sizes, as shown in the photo below. 3. What if I would like to use a different bottle? 4. Do you supply bag-in-box? ​Yes we can supply 5, 10 and 15 litre bag-in-box product. 5. ​Do you offer different cap colours? Yes - the standard flat caps for PET bottles are available in blue or natural (clear) and we can also supply black, white and red caps on request. The sports sipper cap is available in opaque and blue/white. It is possible to supply other sipper cap colour’s, but the order will have a minimum order quantities of around 350,000 caps. Caps for glass bottles are available in silver or black. 6. Is there a minimum order quantity? Yes - the minimum order for any one SKU is a 20’ FCL (full container load), which for most bottles is approximately 30,000 bottles. For Bag-in-Box the minimum order quantity is 2100 units. 7. Do you supply the labels? ​No – our standard contract bottling arrangement is that you supply your own labels. There are a number of label suppliers that we can recommend and we can manage the label sourcing process for you. There are minimum order quantities for labels and they are paid for separately in advance of bottling. We are happy to store your labels for you at no cost. 8. Do you supply the cases? ​No – our standard contract bottling arrangement is that you supply your own cartons. There are a number of carton suppliers that we can recommend and we can manage the carton sourcing process for you. There are minimum order quantities for cartons and they are paid for separately in advance of bottling. We are happy to store your cartons for you at no cost. 9. Do you design the labels and cases? ​No – we do not provide design services. We can recommend some designers if you require design services. 10. Are there any specific requirements to be included on the label design? Yes - There are specific regulatory requirements for labelling that are specific depending on the country the product will be sold in. Refer to our document on Ordering Step by Step Bottling here. 11. I would like to source packaging from offshore – am I able to do that? We have a number of customers who import cartons from China. We are a MPI licensed transitional facility and so can receive and unload containers which have been imported. We do not have sufficient space to store large quantities of packaging on site and so if the packaging is not going to be used within a month of delivery, it will need to be stored offsite. We have had a number of customers who have tried to import bottles and we have experienced a range of issues with these bottles and so please talk to us about this. 12. What testing is carried out on the finished product before dispatch ? Every day we sample and carry out micro testing for E.coli and HPC (Heterotrophic Plate Count). We can arrange any regime of testing that may be required for initial entry into a new overseas market and we will provide you with a quote on any specific tests required. 13. What Food Safety Program do you have in place ? 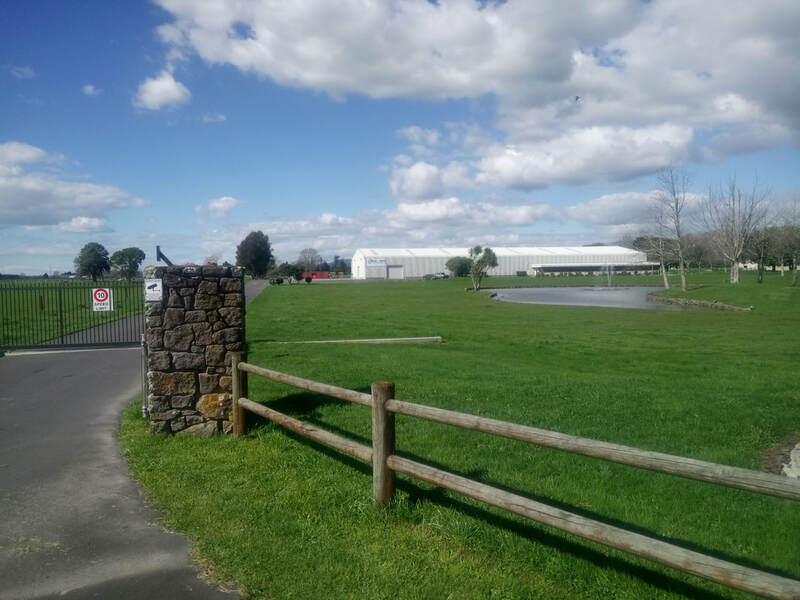 Oravida Waters operates under a Ministry of Primary Industries (MPI) approved Food Safety Programme which is required for exporting of products from New Zealand. This Food Safety Program is audited annually by an external independent certification body. Our Certificate can be downloaded here. 14. Is product dispatch delayed while testing is carried out? ​No – Oravida Waters has well established track record of having no micro issues with the water supply and with the bottled water and so your product is able to be dispatched before testing is complete. 15. How is product dispatched? ​Bottles are packed into cardboard cases (12 or 24 per case) and then stacked on wooden pallets and stretch wrapped for dispatch by truck to your New Zealand delivery address. Export containers are loaded on site. Containers are block stacked using slip-sheets or product can be containerised using export pallets. 16. Is there a cost for containerisation? ​​No – container loading is included in the cost you are quoted for contract bottling. 17. ​Do you store packaging or finished product on-site? ​We have limited storage capacity on-site so we are able to store small volumes of packaging on site at no cost. Large quantities of packaging materials or finished product will need to be stored somewhere off-site at your cost. We can recommend some suitable storage facilities to you. 18. What is the shelf life of bottled water? 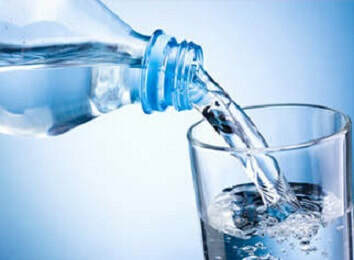 ​The still bottled water, in glass and PET has a Best Before date of 2 years from the date of bottling. The sparkling water which is bottled in glass has a Best Before date of 18 months from the date of bottling. The sparkling water which is bottled in PET has a Best Before date of 6 months from the date of bottling. 19. What format options are available for date coding and batch coding? ​Date coding and batch coding is carried out on every bottle after filling and labelling. There are a number of options available for positioning of the coding on the bottle, including above or below the label, and the base of the bottle. The size of the date coding font is 2mm, and the format can be single or double lined. The standard date format used for both manufacture date and best before date is: DD-MM-YYYY in New Zealand and YYYY-MM-DD in China. 20. Do you supply botttled water for fundraising groups? Yes - we can work with fundraising groups to provide a product for their fundraising. 21. Is your facility an accredited transitional facility? ​Yes - we can receive and unload your imported containers on site at our Ministry of Primary Industries (MPI) approved facility. 22. Who will complete the export documentation? We provide all the required documentation for product being exported from New Zealand. 23. What are the payment terms? ​​Payment terms are 50 % deposit when you confirm the order and 50 % when the order is ready to be dispatched. We understand that our website can't answer all your questions so please don't hesitate to contact us.